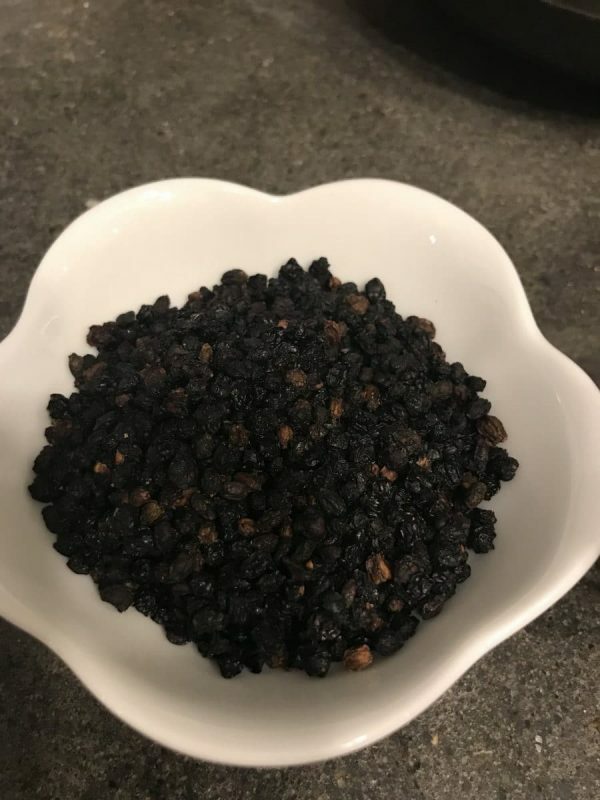 Start with 2/3 a cup of dried elderberries and 3 1/2 cups of water in your instant pot. Place the lid and set valve to seal, hit manual for 9 minutes and wait! The instant pot will heat up and come to pressure then cook for 9 minutes. Mix in the honey while it’s still warm so it dissolves easily. Add a drop of each of these oils from Young living’s vitality line, and you’ll add even more amazing health benefits. Now just let it cool and pour into your jars. (this recipe makes enough for 2 pint jars) and store in the fridge. Now that you have made your elderberry syrup in the instant pot let me tell you how we use it? I give the kids 1 tsp a day and us adults get to have 1 Tablespoon a day. If anyone starts to feel under the weather we just triple the dose through out the day. Let me just encourage you to google these ingredients and you will be amazed by the benefits they offer us. I will say that my family has decided we would rather use these natural ingredients then anything sold over the counter or handed out like candy at the pharmacy, if we can help it. As a result, we avoid all the extra stuff in those things too! And it has helped!! We don’t seem to catch every bug going around and when we do get some germs, they don’t stick around as long! What do you do to help boost your immunity? Have you ever made Elderberry syrup before? 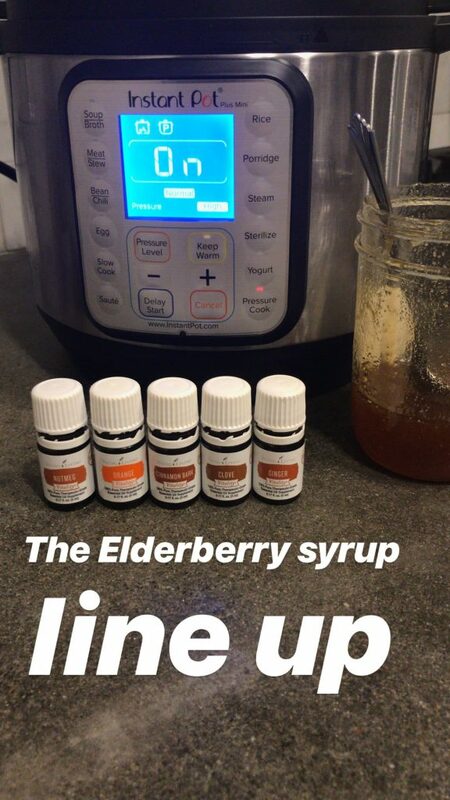 Many people have found Elderberry syrup to be an awesome way to boost immunity and keep our bodies above the wellness line! 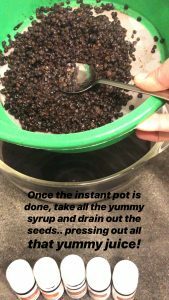 Use these instructions to make Elderberry syrup in the instant pot. It's so simple! 1 drop each young living vitality oils nutmeg, orange, cinnamon bark, clove, ginger,and frankinsense (optional) or any combination of them. release pressure and allow to cool for a few minutes, drain out syrup into a bowl and press berries through a strainer. store in fridge and serve daily! This entry was posted in Essential Oils!, Instant Pot everything! and tagged essential oils. Bookmark the permalink.